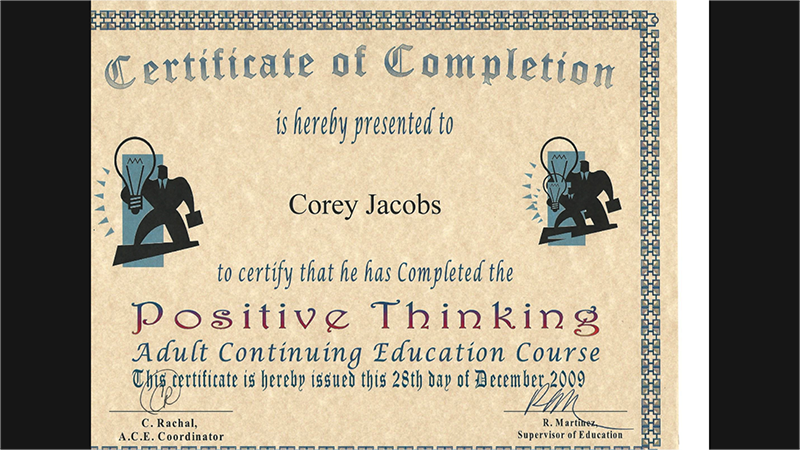 Corey has worked extremely hard to better himself since the beginning of his incarceration. 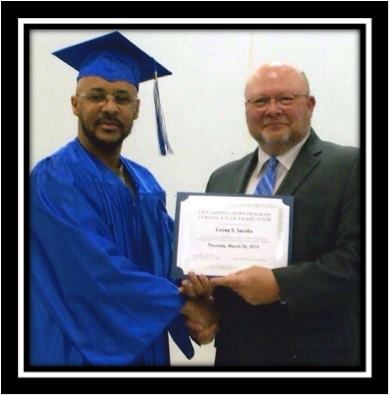 For the past 16 years, he has purposefully engaged in educational activities, vocational skills training, and re-entry courses, which is highly indicative of post-release success. 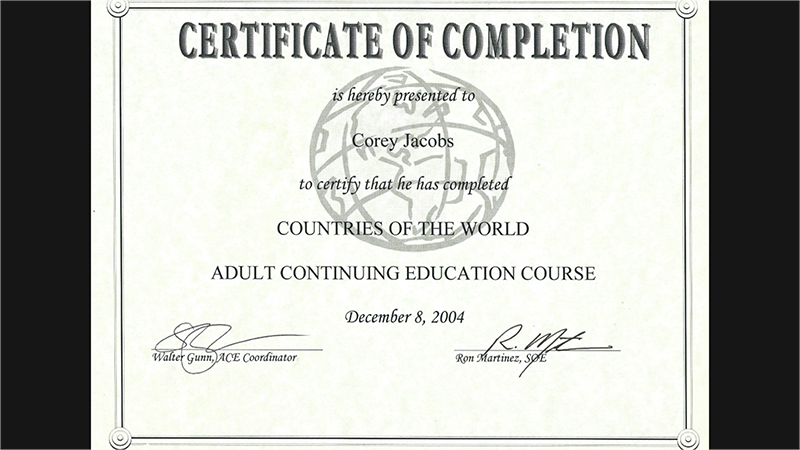 Corey has completed three major residential programs as well as received over 100 certificates, including numerous courses to substantially enhance his education and personal development in areas such as, but not limited to, finance and accounting, real estate, small business, commercial driving, addiction and recovery, parenting, re-entry skills, domestic violence, health and wellness, leadership dynamics, art therapy, and rational and positive decision making. 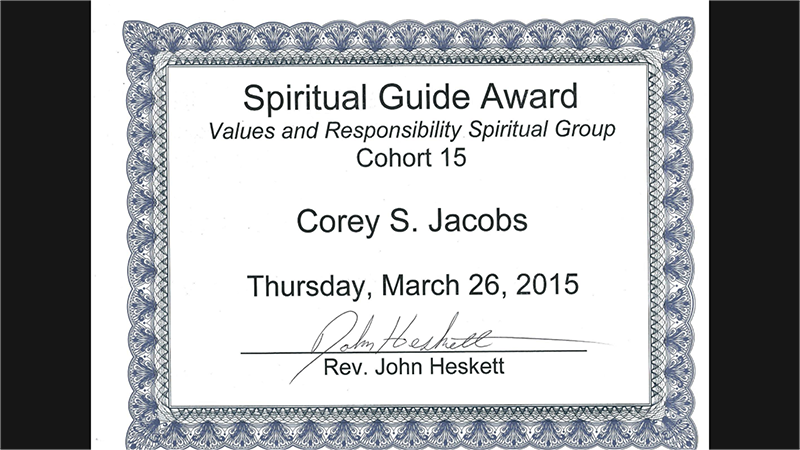 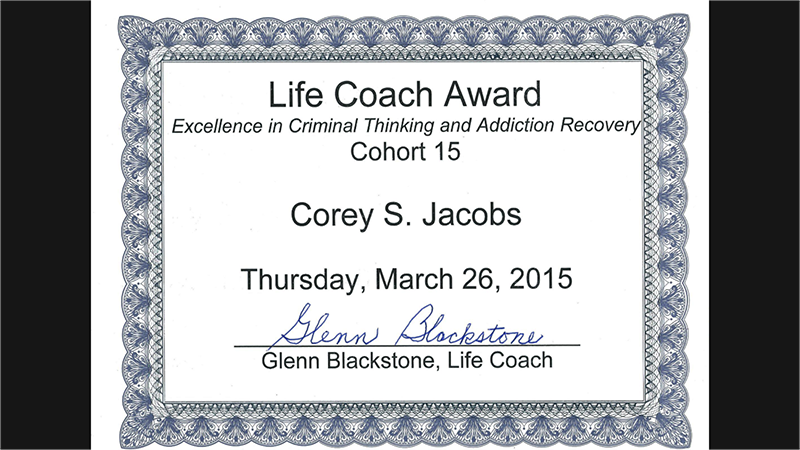 Remarkably, Corey recently graduated from the intensive 18-month faith based Life Connection Program (“LCP”) and received the two highest awards offered in the course: the Life Coach Award and the Spiritual Guide Award were given to him in recognition of the exponential personal accomplishments he made throughout LCP and the positive effect he had on other prisoners in the program continuing their journey towards becoming better men. 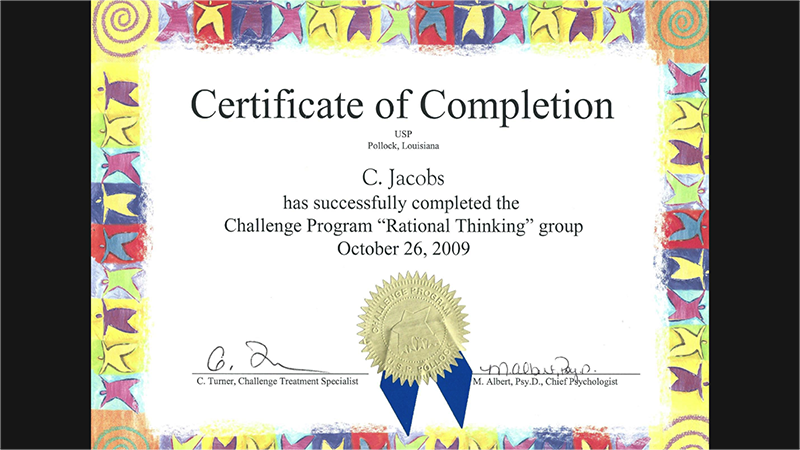 LCP is a highly regarding program within the Bureau of Prisons with limited space (only offered at 5 federal prisons across the nation) and a strict curriculum aimed (i) at development and maturation of normative values and responsibilities and (ii) to better prepare incarcerated men and women for re-entry back into society. 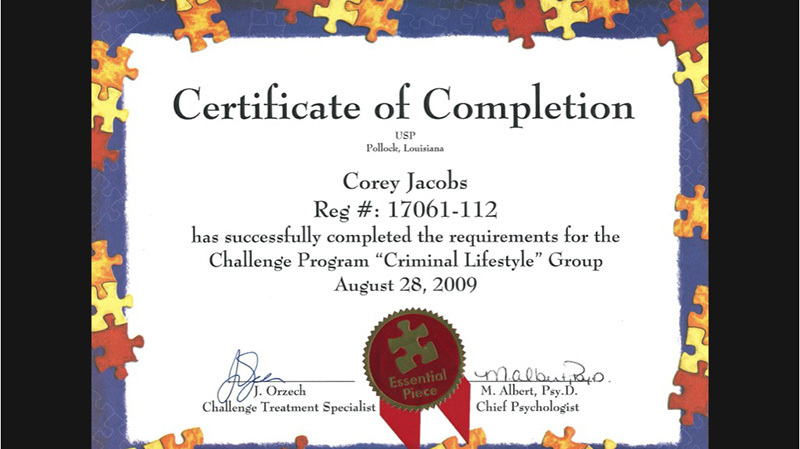 LCP has an incredible track record, with a recidivism rate lower than 10%. 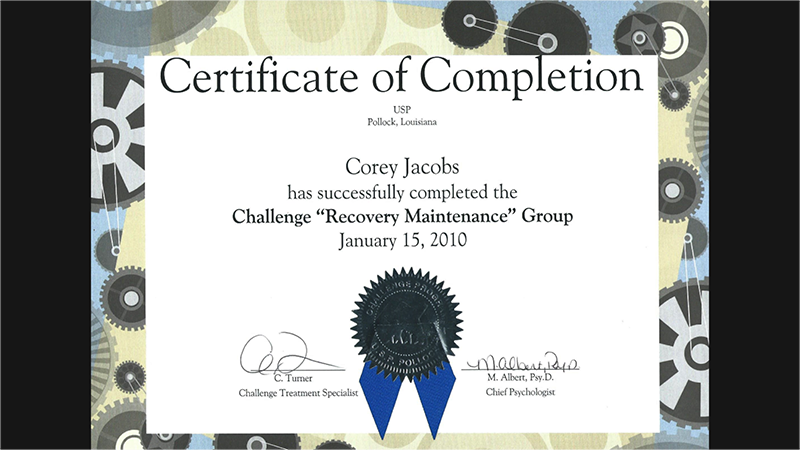 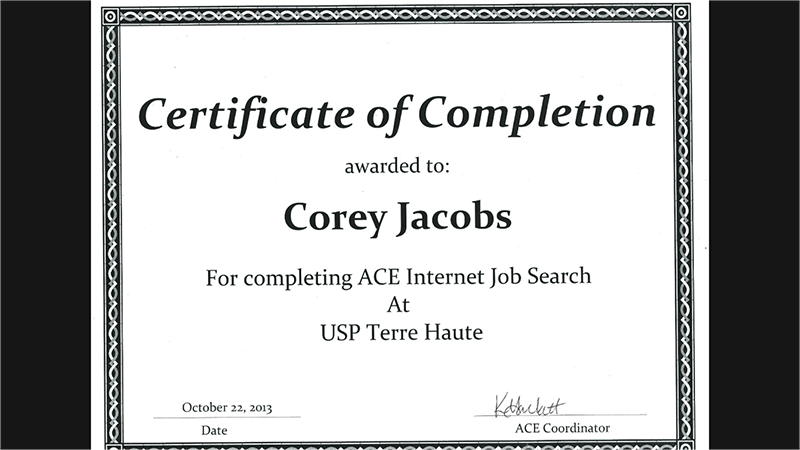 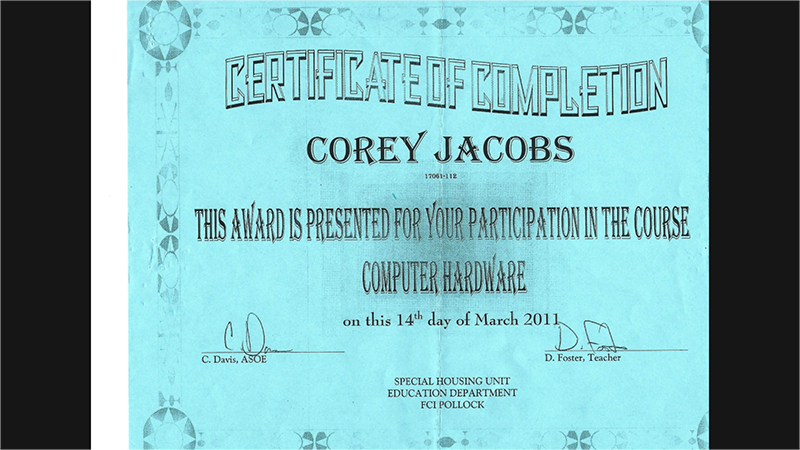 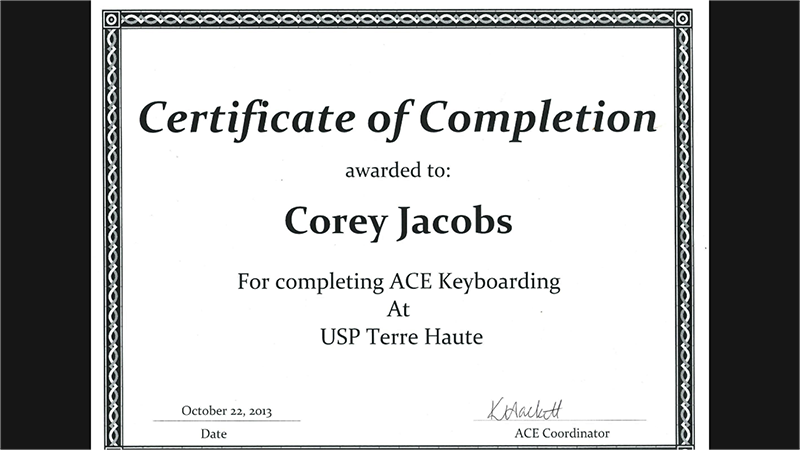 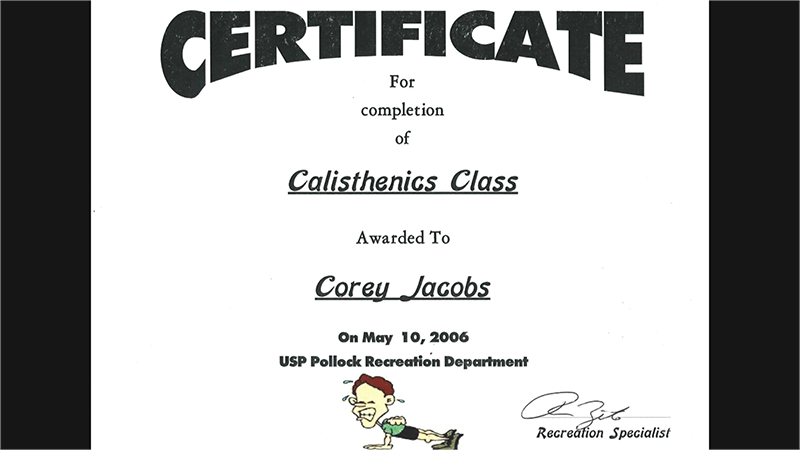 With a natural life sentence, Corey cannot be certain that he will ever get a chance to prove to society that he can reach his re-entry goals developed in LCP; however, he still eagerly participated in the course. 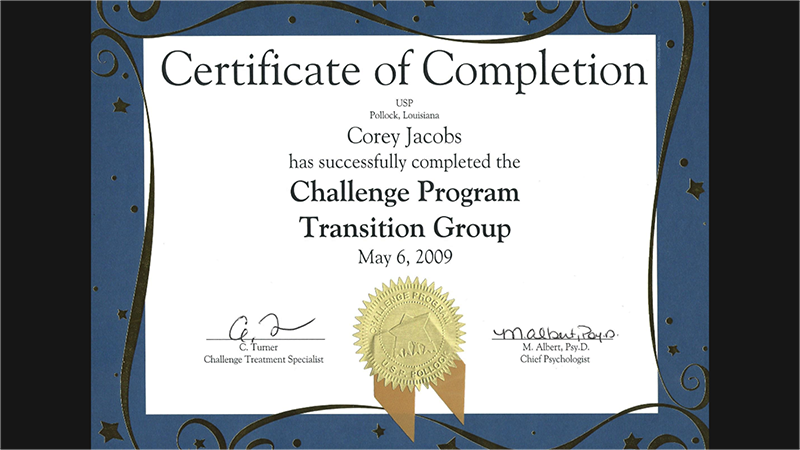 Participants in LCP have no extra incentive to enroll in the program – other than a personal desire to change and grow. 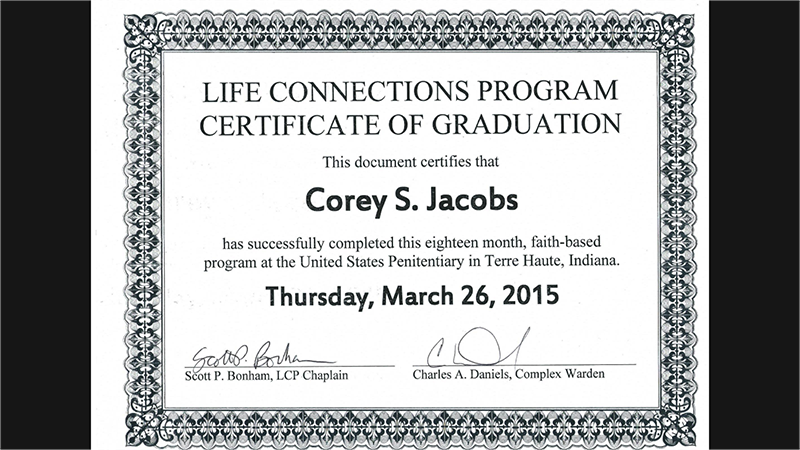 This speaks volumes of Corey’s resilient character and his unwavering faith that the justice system will not let him die in prison as a non-violent drug offender. 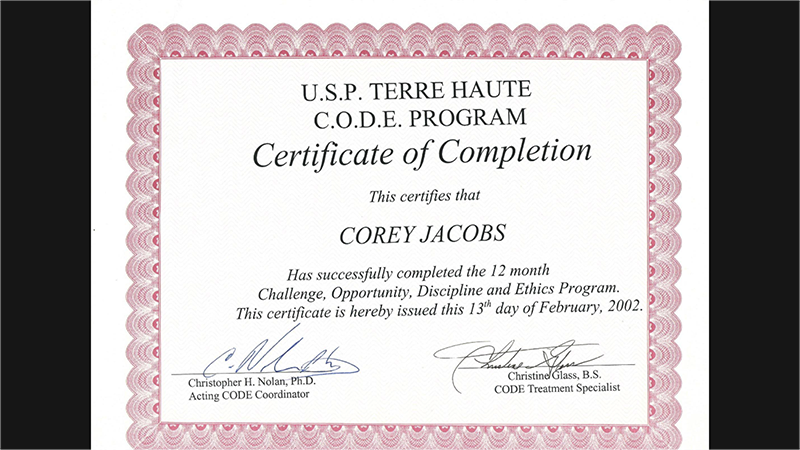 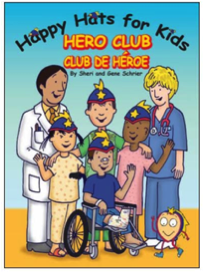 Corey also successfully completed LCP’s 500-hour community service component by volunteering for his unit’s extension of the Happy Hats for Kids non-profit program, which benefits children with cancer and other devastating illnesses. 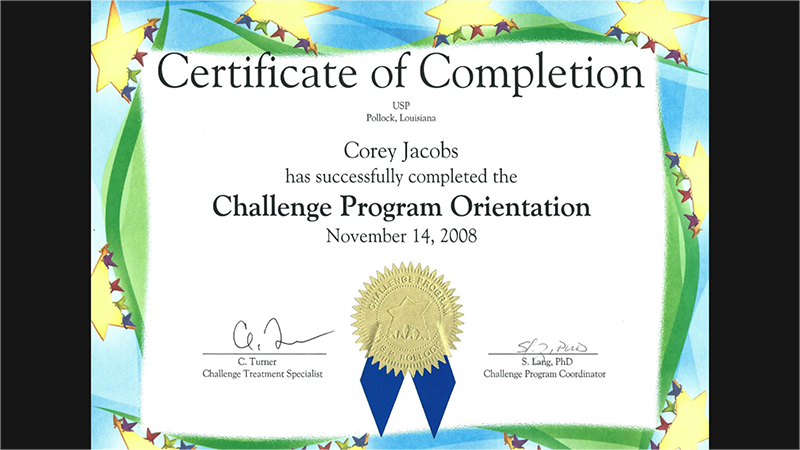 Impressively, after graduating fom LCP, Corey was offered the job of Coordinator of Happy Hats for Kids due to the great work he performed while volunteering. 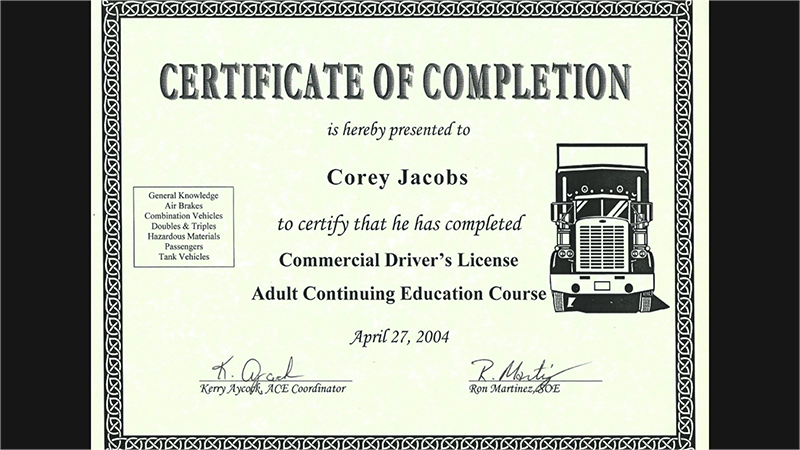 As Coordinator, he supervises the work of other men who are currently in LCP.